This event is for anyone who has attended at least one SALA event. If we have open slots after SALA folks have had a chance to RSVP, we will open up the remaining spots to everyone else. You and your group are captured in an abandoned building somewhere in Downtown Los Angeles. Your captor is an anti-technology psychopath, who will return to kill you unless you can escape. He knows that people today are too dependent on technology and will fail to escape when their trusted devices are stripped from them. Can you escape? The room aims to combine quality production value and a series of interesting and challenging puzzles to create a great all-around live room escape experience for guests. This room is only for a group up to 8. The first 8 who RSVP AND send me $25 by Paypal (use the name gina@kpcomedy.com) will have a guaranteed reservation. After we conquer the Captured LA Room together, those of us who would like to hang out longer can walk over for drinks and/or food at one of the restaurants in the area. I paid in full for all 8 spots up front to ensure we would have a private room and I will bring all of our tickets. Also, important to note that you MUST BE ON TIME. Plan on being there and ready to go by 7:20 pm at the latest, because once they lock the door, you won't be allowed to enter. A Live Room Escape is a live group gaming experience. 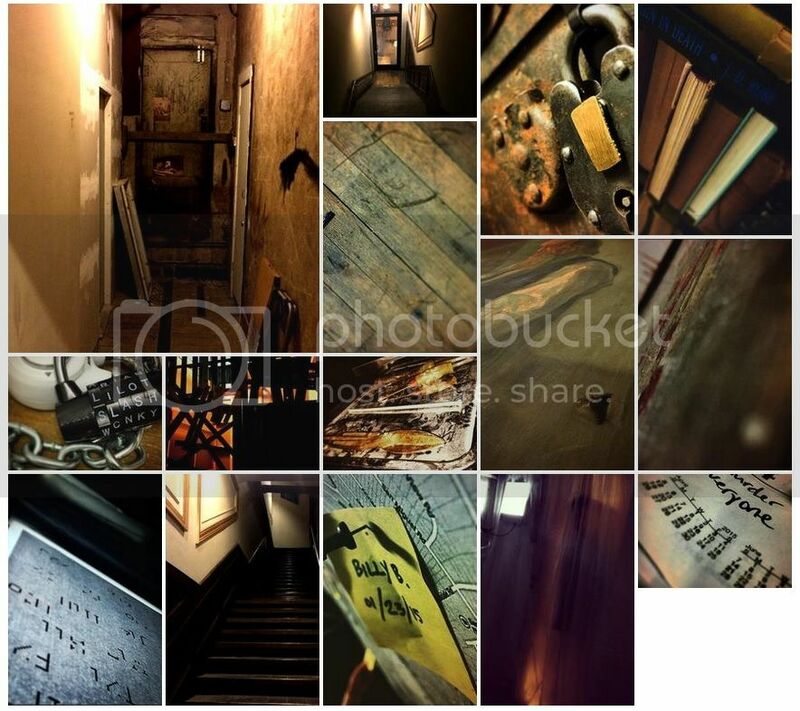 As a participant in a Live Room Escape, you are captured or locked into a room(s) full of clues and puzzles. Your goal is to use what you discover in the room along with group communication and your problem solving skills to figure out how to escape the room. The game plays out like a high energy, high suspense and high pressure movie (where you’re the main character) as you and your teammates try to solve the series of challenging puzzles, riddles and clues that ultimately lead to your freedom. While we use terms such as locked, captured or escape for the purpose of the game experience, at no point is anyone actually locked in any room. All participants are welcome to exit the room through the same unlocked door they entered, if they want to leave the game at any point. This is so flippin’ cool!